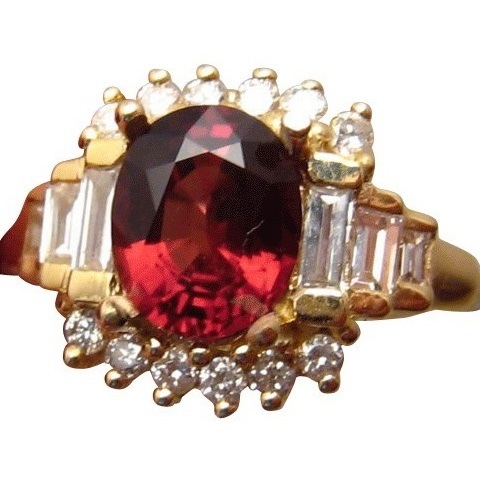 Superb natural noble Red Spinel Diamond ring in two tone 14k Gold. SOLD but can be made to order with a Spinel or different colored gemstone. 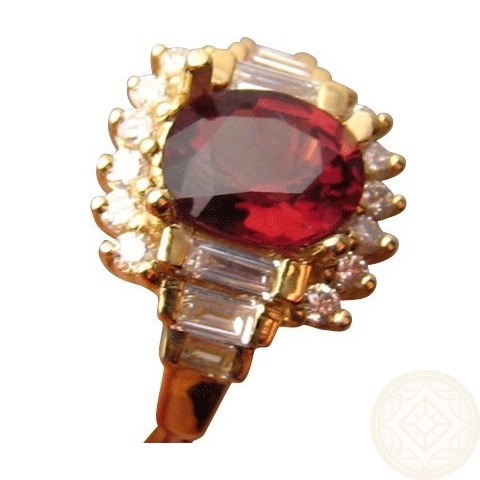 Ladies ring in 14k Gold with a beautiful mix of natural gemstones. 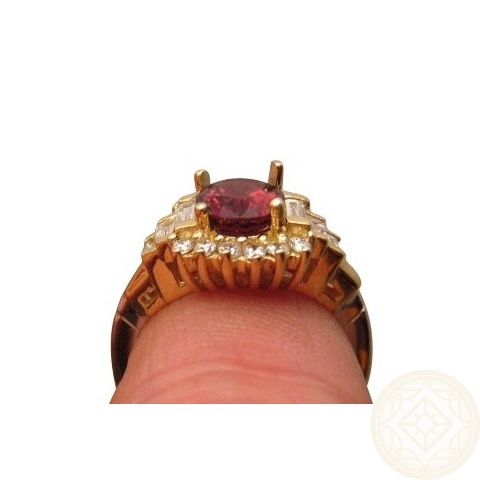 A Red Spinel is prong set in the ring with round brilliant Diamonds curving around the gemstone and three baguette Diamonds stepping down on each side of the band. 14k Yellow Gold surrounds the gems with 14k White Gold on the band. 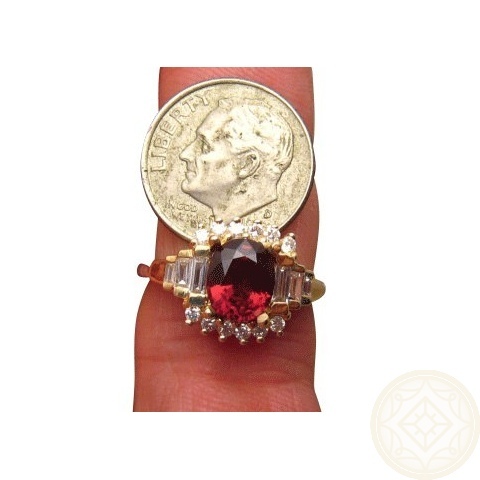 This ring has been sold however a similar one can be made either with a Spinel or another colored gemstone. Contact through this product page to discuss options.